We are developing an Integrated Medical Hub on the edge of Kampala. The area of Maya is desperately in need of local, inexpensive, high quality medical services. Innovative and appropriate technology ensures that our health care provision is sustainable. Working with local residents and professionals in the field we hope to provide the Maya community with an holistic solution to their medical needs through the development of our sustainable Medical Clinic. The Clinic will be at the centre of our Medical Hub which also includes Dental and Maternity Clinics. 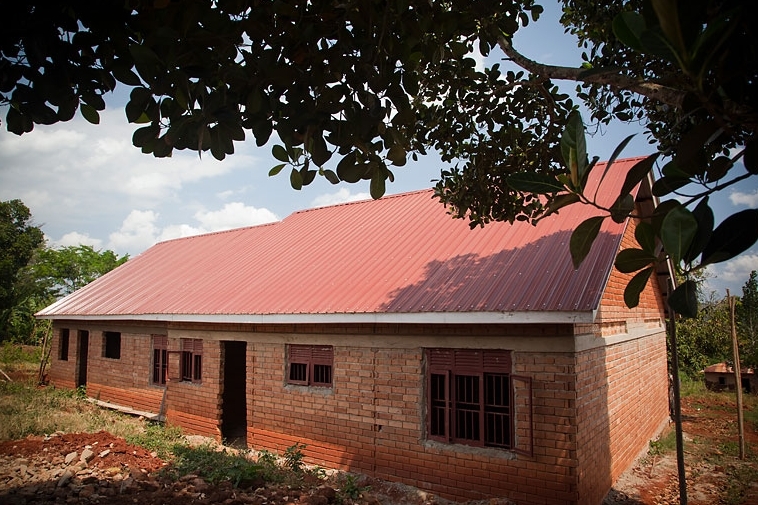 In Maya, local labourers continue to develop what we hope will be an accessible model Medical Clinic that can be replicated across rural Uganda, perhaps even extending to other African countries. As many as 1 in 8 mothers die in child birth in some parts of Africa. In rural areas particularly, there is often sub-standard or non-existent health care, putting thousands of mothers and their children at risk every day. In Uganda, the main causes of under 5 mortality are diarrhoea, malaria and pneumonia - all issues that could easily be prevented with the right local resources, advice and training for parents. Unfortunately, such luxuries are scarce, and if a mother is able to reach a large hospital in Kampala city she will only be helped if she can pay for treatment, care and any drugs she might need. When 17 year old Christina Ramsay saw these problems for herself on a school trip to Uganda in 2007 she could not ignore the life-threatening lack of health facilities for women and children living in rural areas. Christina started work with John Njendahayo, the co-founder of Link International, to find a sustainable solution for rural African families, providing them with affordable access to basic health care. Later the same year work began on a project to build a pilot medical centre, with particular emphasis on maternity care, in the Maya area of outer Kampala. Link International Innovation seeks wherever possible to work in partnership with other organisations. The Dental project based at the Integrated Medical Hub we are developing in Maya has benefitted from a close partnership with Dentaid and also our membership of the Uganda UK Health Alliance and support from The Rotary Club. A well equipped dental surgery has now been installed and a local Ugandan dentist employed for several days a week, bringing dental care to the local rural area at local rates, making it available to low income families in the Maya community. The project also operates outreach clinics to more remote rural areas and shanty town communities. The work is supported by volunteer dentists who visit several times a year and are coordinated by either Dentaid or Link International Innovation. Below you can see Dr Michael Dods from Crewkerne Rotary Club volunteering at Maya. We would welcome Dentists or Dental Hygienists who have some capacity to volunteer for a week or more and gain the experience of working in local Ugandan communities to contact us.